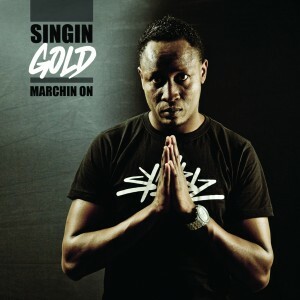 Quite a while ago, we’ve showed you the Promo Video to the wicked “Marchin On” by Symbiz Sound and Singin Gold, you seem to like very much. Now, we’d like you to make your own version! If you’re an producer, grab the acapella and make your own “future-dancehall” riddim (the genre is your choice) and if you’re a singer, deejay, rapper, vocalist or whatever, download the instrumental and lend it your voice! You’ll find them below the info text. Of course, don’t forget to send them back to symbizremix@googlemail.com, to win some of our cool prices! this is a message that is directed especially – although of course not exclusively – at those of you who reside in the underground. Some of you might have heard Ephraim Juda say on stage that „Music is best made together with others!“ and we from Urban Tree Music truly believe that „all over the world it is mainly in independent structures, labels and little back rooms where the biggest talents are to be found“. And that is why starting today, here and now, we invite all of you to the biggest Singin Gold and Symbiz Sound remix contest! Singin Gold & Symbiz Sound – remixed, refreshed and totally renewed! So let’s not beat around the bush and get straight to the point. If you’re an artist, we will give you the instrumental version of the song „Marchin’ On“ produced by Symbiz Sound, so that you can record your own version on the song. If you’re a producer, then we will give you the vocal track of the same song by Symbiz Sound so that you can create your own beat to the vocals. This is your chance to go totally crazy! There are no limits concerning genre or style. The competition begins on the 31st May 2011 and ends on the 15th July 2011. The jury will have chosen and announced the winners by the 31st July.